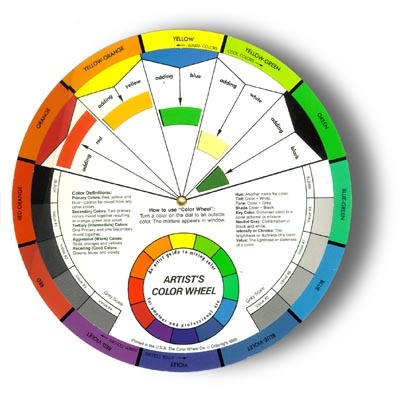 COLOR WHEELS for Artists & Gardeners are printed in the U.S. on cardstock with metal rivets for durability. These are invaluable tools for anyone who works with colors and color combinations. Simple & easy-to-read guide to mixing colors. Clear color terminology. Also shows harmonizing color relationships. protect from sun & moisture.